Our juniors had a ball at their event on Sunday! 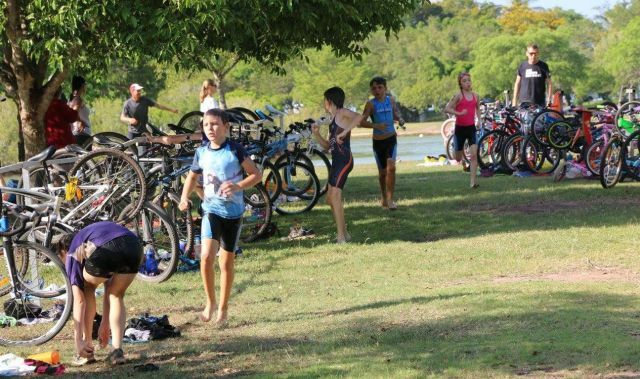 A huge thank you to junior co-ordinator Melissa Lind and her band of enthusiastic volunteers for their combined efforts to ensure all the youngsters had a positive swim bike run experience. This weekend will see the eagerly awaited Super Sprint handicap take place. We haven't had a handicap event for a number of years and it is great to see this exciting format back on our calendar. Be prepared for a whole new experience if you haven't yet done one. The aim of course, is to have everyone cross the line at the same time and our handicappers Brett Verity and Gary Wall have been putting in the hard yards working out start groups. The need to have all handicaps sorted for the event means entry will close earlier ie midday this Friday and no late entries will be taken, so do get your skates on and get your online entry sorted (see details below). 1. Note change of close of entry - entry for this event closes at midday Friday. No late entries taken. 2. Event check in closes at 6:45am sharp. Not checked in by then = not able to participate. 3. All road rules to be adhered to including stopping if traffic lights are RED and keeping to left unless overtaking. 1. Former member Bob Martin made top 10 at World Duathlon Championships in Adelaide at the weekend. Bob (10th M65-69) went 2:32:51 for the 10/40/5 run bike run course. 3. We farewell Life Member Allan Stancombe from the Territory shortly. Al & wife Anne are now heading for cooler climes. We take this opportunity to thank him again for his contribution to the success of our club. Always a willing volunteer Al also served time on our committee and was for many years our results man (back before electronic timing). As well, Al was a formidable triathlon competitor before his dodgy knees called time. Safe travels and all the best! 4. A number of our members have been out of action lately. Among them Michael Mondy who has needed some surgical adjustments to his collection of pins and screws, Monica Stewart who has had a thorough check up as well as a number members laid low with flu &/or tummy bug symptoms. We wish you all a speedy recovery and hope to see you on a start line soon. 5. Keep an eye out if you are walking at East Point, there has been a croc sighted. 6. 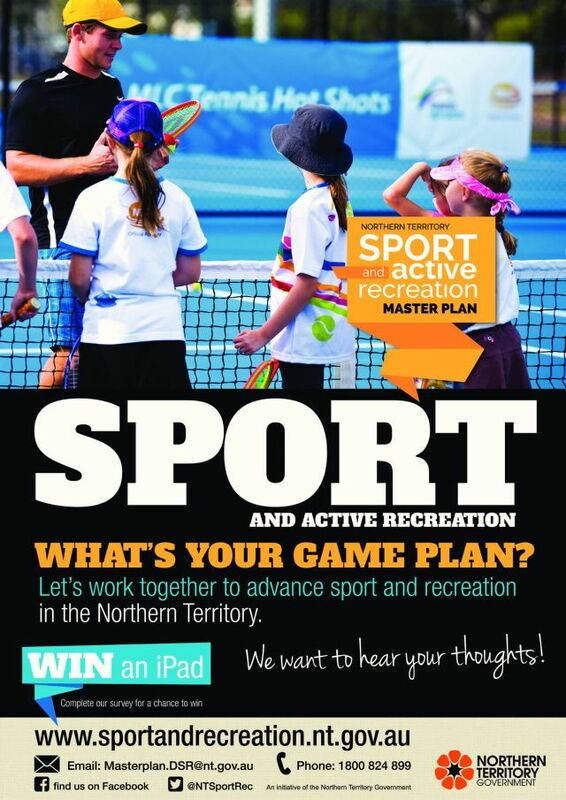 NT Gov want to hear your views on sport and active recreation and how you want it to be in the future. You can give your input via their NT Sport & Rec Master Plan online survey. Those completing the survey have a chance to win an iPad mini or a Fit bit. 7. Not to be outdone, City of Darwin want to know what you want to see at Parap Pool. Info here. 8. 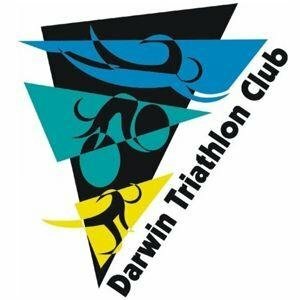 You could also win a $200 CycleZone Darwin voucher if you tell City of Darwin where you might want to Park Yer Bike. 9. Dept of Transport have launched Community Grants for those who wish to deliver Road Safety projects at a local level. 10. We have a number of athletes heading for Indonesia to compete in the Bali International Triathlon this weekend including Phil Blumberg, Jo Ellis, Daryl Stanley, Rob Brooks, Kylie Scholz and Cath Hood. Good luck! 11. Don't forget that early close of entry for this weekend's Super Sprint Handicap.